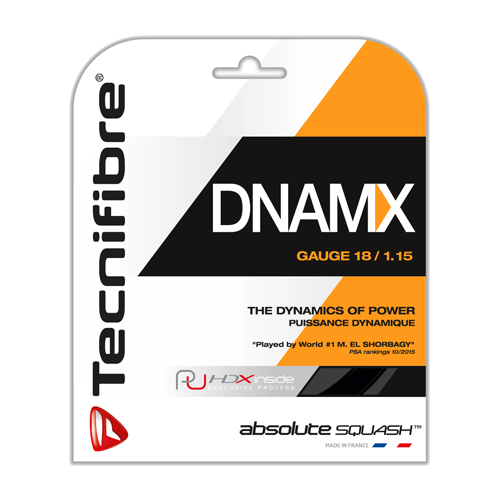 Tecnifibre DNAMX Squash String Set – 17 Gauge. 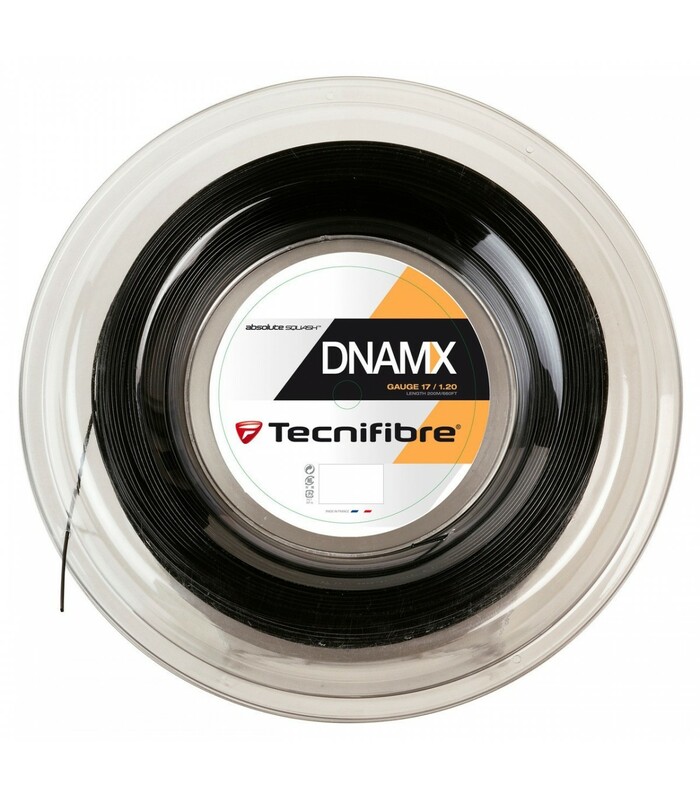 DNAMX is the new version of the black 305+ which was discontinued in 2016. 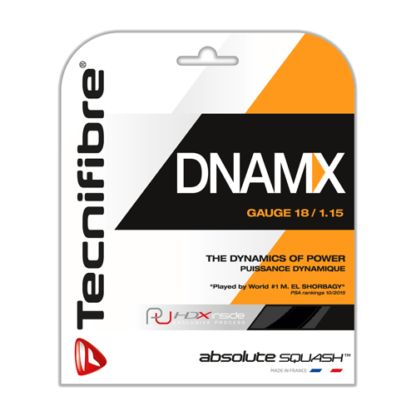 DNAMX is popular for high-end and professional squash players who want a string that gives them a blend of power and touch. 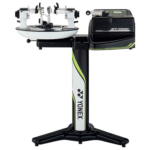 In general, we advise men to play with the 17 gauge version while ladies and juniors are advised to choose the 18 gauge version. 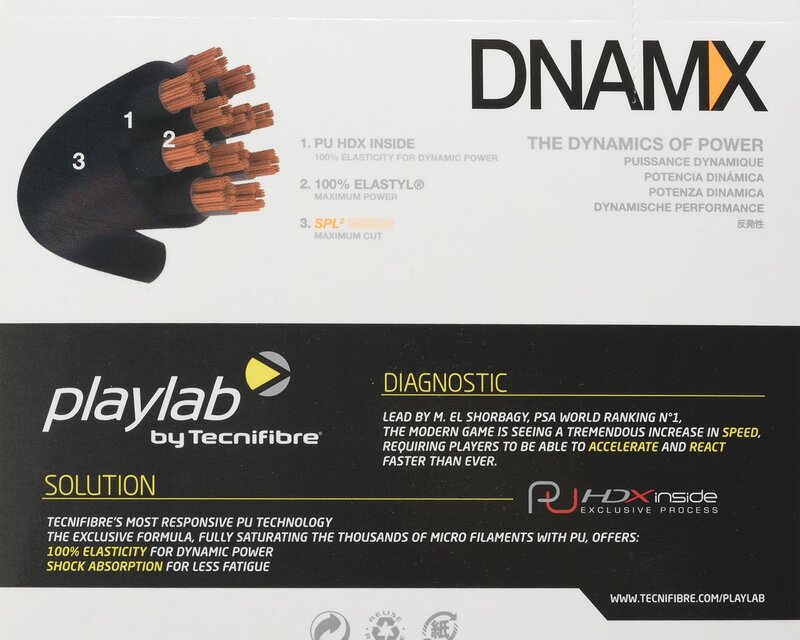 Please note that DNAMX is one of the world’s best squash strings. 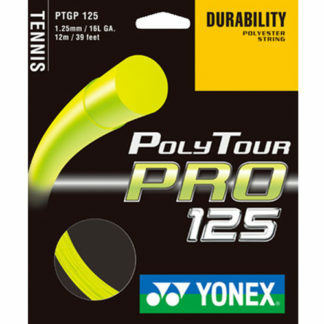 It is designed to perform extremely well under normal squash conditions and can withstand the forces generated by the world’s top players. 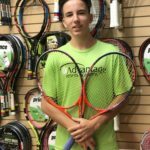 Serving overhand and hitting every shot with excessive force is not normal in squash. Therefore this string is not designed to perform well under these conditions. 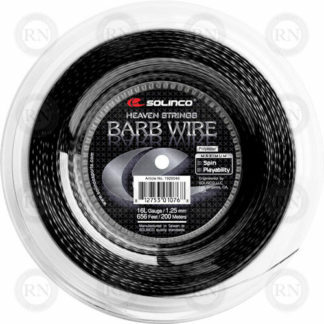 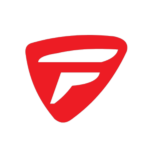 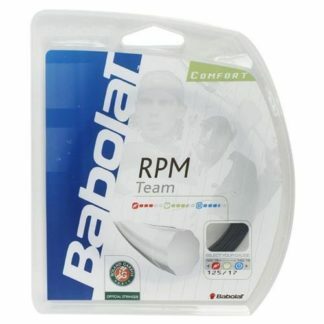 Racquet Network does not recommend this string to players who serve overhand or to players who pound every shot. 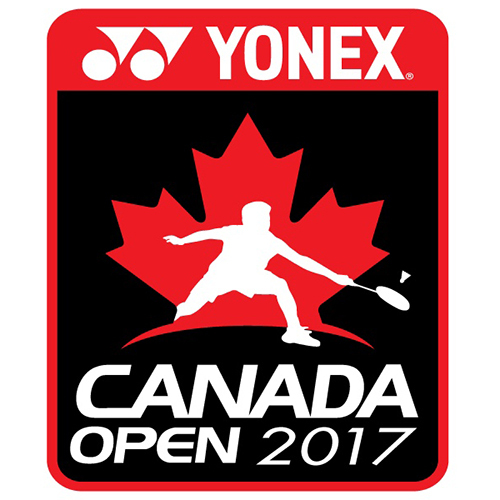 Played by the World #1 Mohamed El Shorbagy. The Dynamics of power.